At the time, I’m about a month late In writing my season report. I’ll start it off by saying it was one for the books. 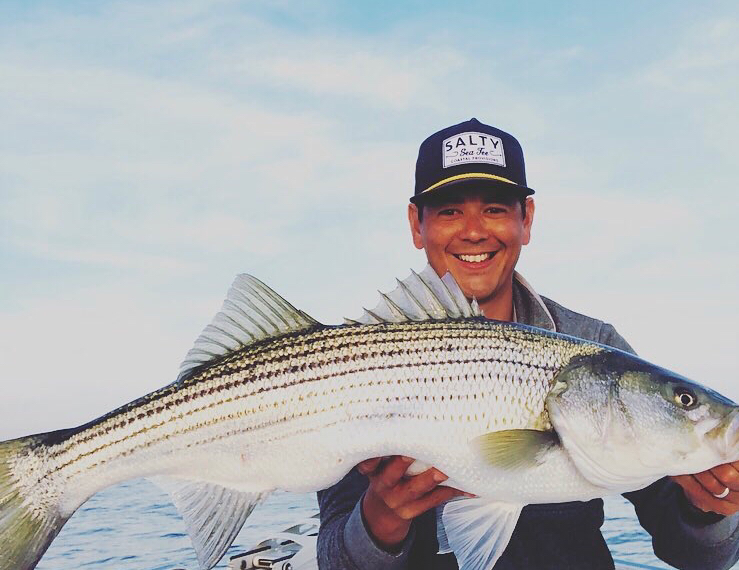 As always, there were some real monsters caught in the western sound and islands this season from May to early July, but this year there seemed to be even more numbers of big fish. 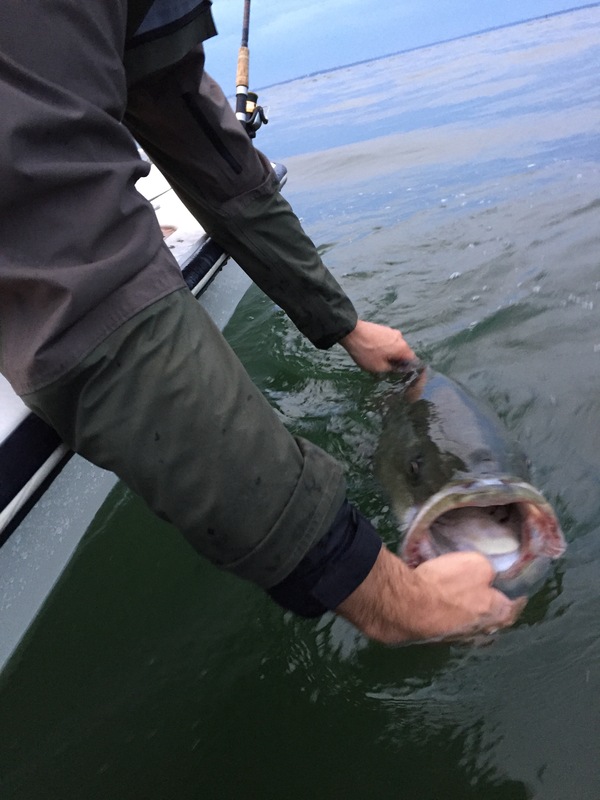 A few notable catches include a 49 pounder caught by Colin Kelly live lining bunker schools in the western sound. I don’t know many guys who fish as hard as he does, well deserved! 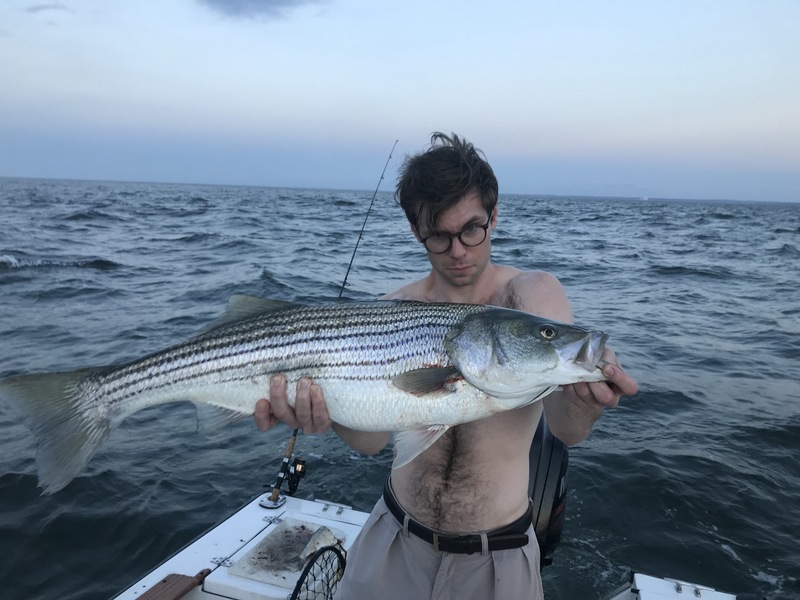 Your author even managed to join the 40 pound club with a striper caught chunking the June new moon. I missed the mark by 2 pounds last year, and I was clearly thrilled to hit the benchmark this year. We had a lot of bunker schools this year. 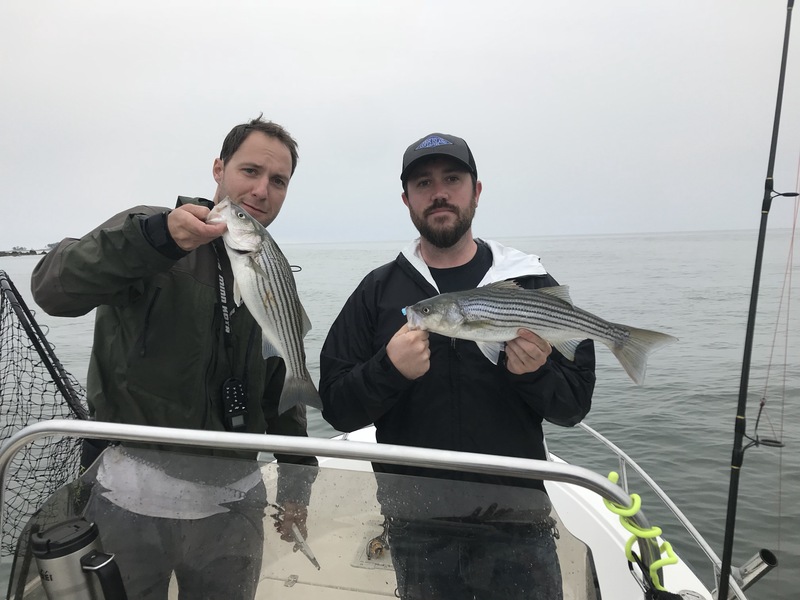 Lot of bunker, lot of nice stripers. One difference this year is that the schools of bunker with fish on them stayed out in the middle of the sound. A lot times around the far ends of the Norwalk islands you find schools getting harassed early mornings. While it happened sometimes this year, it wasn’t nearly as common. I wasn’t able to make a pattern out of it. We also had a colder than average spring, with more rain, which kept action going for awhile. Some say rain pushes the bait out. I noticed this year sometime after a heavy rain (which we had a lot of) the bunker were thick in the harbor, which sort of debunks that theory. All of that isn’t to say that big fish weren’t caught in tight to the islands. They were there, just not pushing bunker schools around. While there were some rumors of sand eels, I can’t say I’ve been able to substantiate that rumor myself. It’s no secret that August slows down for sure. 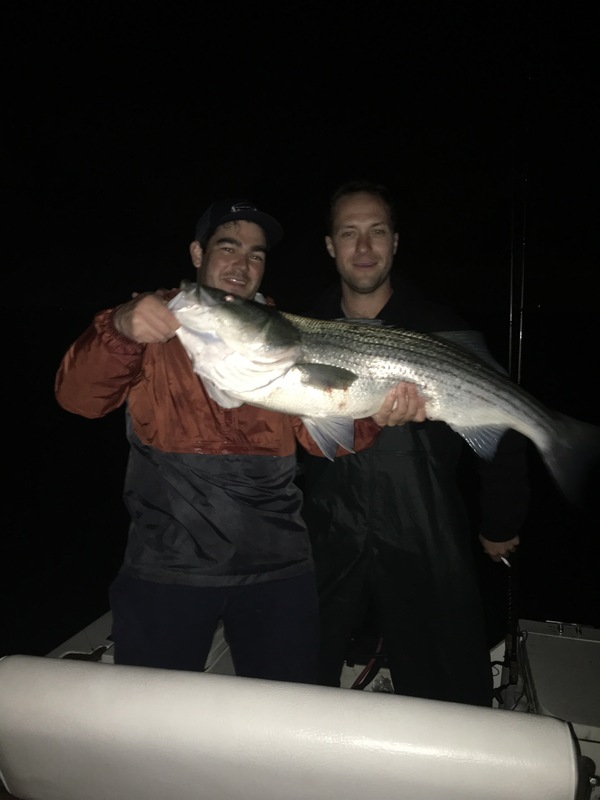 I have managed to have days with a ton of stripers though. Small fish (16-24 inches) for the most part, on a mix of flies, topwater, and small bucktails or soft plastic jigs. It’s a great time, and I see no reason to stop fishing in the dog days (or better yet, early mornings) of summer. There are also some quality bass to be had if you put your time in. We have a TON of small bait in the islands. Add to that snapper blues and crab hatches, and you have a rounded diet for bass and blues to keep them here through the end. Bottomfishing has also been pretty solid. Fishing jigs, rock piles and channel edge will yield some nice fish for the table. On the fly side, i like small folded foam poppers. I also like mushmouth flies in blue and white, and the classic clousers and deceivers, all on intermediate line. Nighttime: Nighttime I switch over to swimmers on the spinning rods. Typically bomber Long As, SP Minnows, and a variety of smaller Rapala X raps and other swimmers. Bring a dark and light color of each, and you’ll figure out what they want. It’s integral you have both, some days they literally will not take a dark lure, but will hit white with reckless abandon. SLOW DOWN the retrieve at night! On the fly side, I use the same flies as daytime except skip the poppers. Again, SLOW the retrieve once the sun goes down. Tight lines mates. For questions, reports or input, email james.hollyday@gmail.com . As I stood on the banks of the Norwalk River three weeks ago, it was very clear the ecosystem was alive with life, and the major seasonal changes were underway. The water body that seemed lifeless a month ago was now flurrying with activity. At my feet, crabs darted in and out of their holes in the mud. Egrets were carefully stalking the mud flats, periodically shooting their beaks into the water picking up prey. Cormorants were also working the shoreline, diving down for small fish. In the water, I could see silversides schooled-up, moving around the inlet in a group. Off in the distance, adult menhaden (bunker) were flipping around on the surface, filter feeding as they do. Numerous osprey diving were out of the air for these oily fish, and I saw them retreat to their nests with the 12-inch fish in their talons. 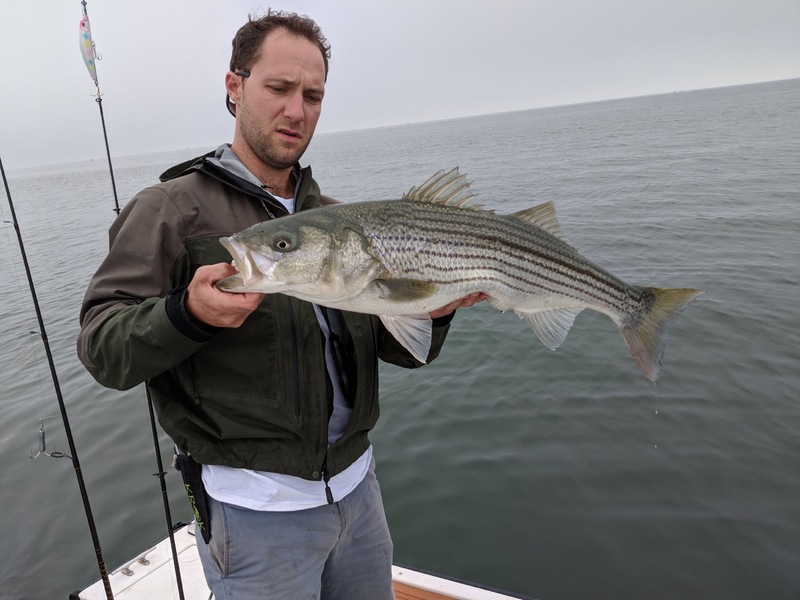 Oh, I also caught some striped bass too. The spring season is well underway. 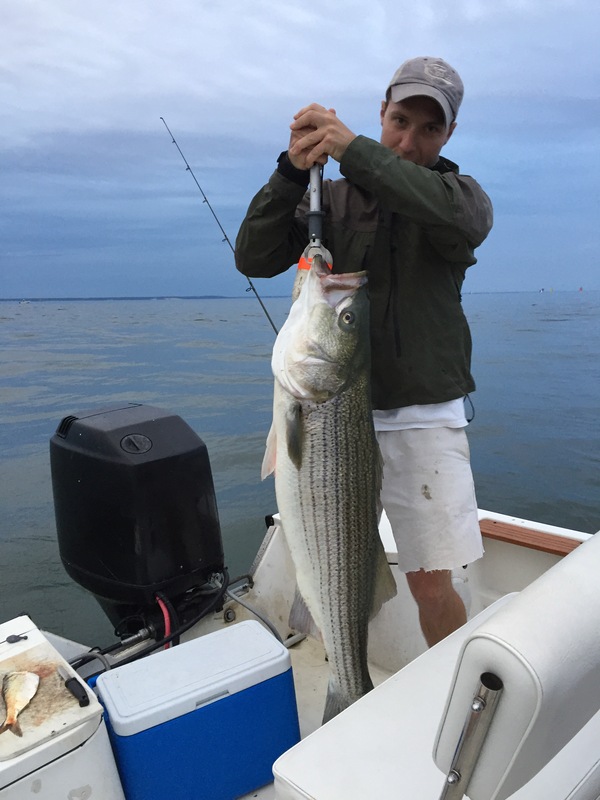 We have striped bass ranging from not-much-larger than your lures, to fish in the mid 30-inch range. They can be found both in the harbor and islands, as well as far upriver in brackish water in the various rivers and estuaries we have. The fish upriver are strictly chasing the herring which are trickling in. The concentration of these fish should improve as the herring spawn occurs. While we have herring now, I have not seen or heard of full blown spawn conditions yet. The fish we have now are holdovers who live in the arae all year round. 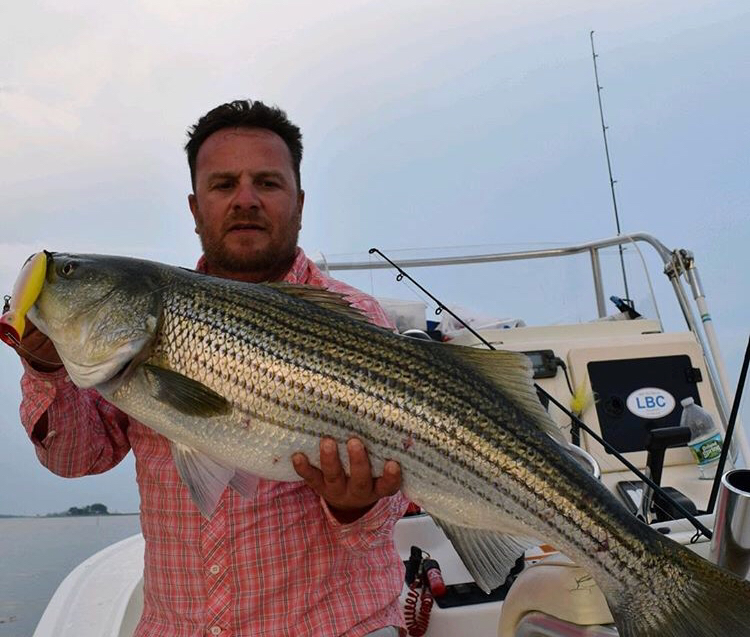 The migratory fish from the Hudson and Cheasapeake bay will arrive later in May. These are the really big fish we are all after. 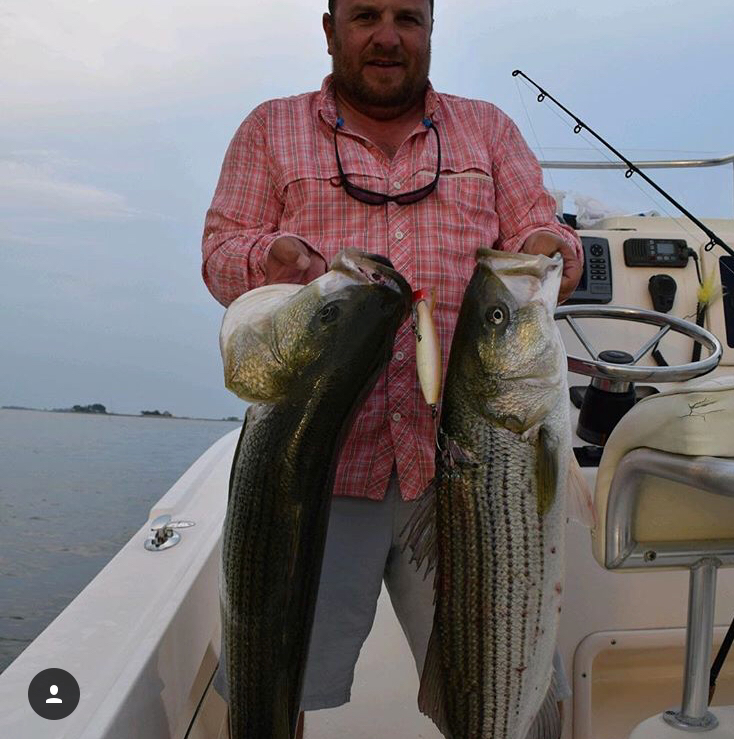 I have had my best striper fishing so far in sandbars around the harbor, as well as way upriver. 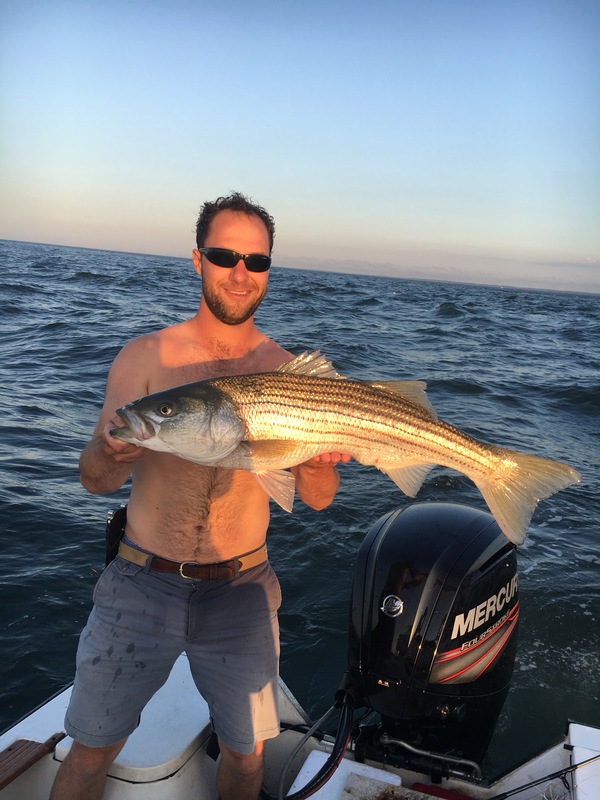 I have managed two fish at or over 30 inches, and many more small schoolies. This time of year I fish strictly artificials. My go-to lures include Slug-O’s, swimmers including jointed Rapalas, Yo-Zuri Crystal minnows, Bombers, and my favorite: topwater. The topwater bite is hit or miss. The fish are just starting to get aggressive enough to hit topwater lures as the water temperature increases. My favorite topwater lures are the Gibbs Polaris Poppers, Smack-It’s, and various type of spook-lures. The fishing this time of year is also very inconsistent. This is due, in my eyes, to the fluctuation of bait, and water temperatures. As I motored around the harbor this weekend, temperatures ranged from 50-60 degrees, which is a big jump. 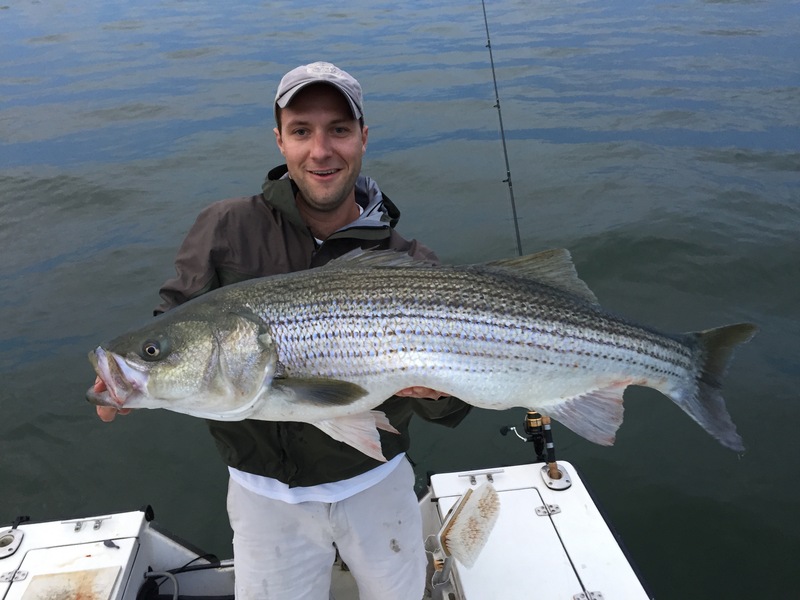 50 degrees is generally known as the minimum temperature for stripers to be actively feeding. Which points to the importance of water temperature this time of year. An outgoing tide, and mud flats/sandbars will hold much warmer temperatures. The inside of the islands will also be a lot warmer. 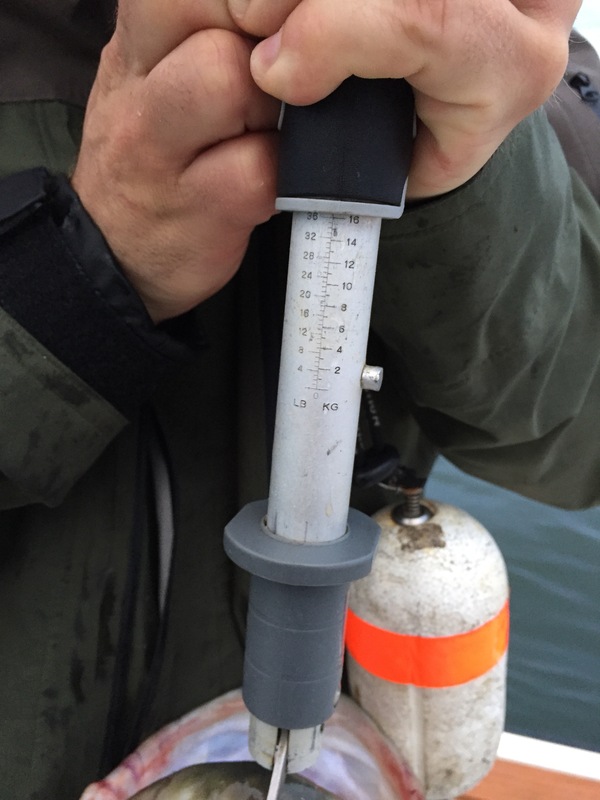 If you are on a boat and have a fishfinder with temperature, take a look from time to time. Also, get out there when the weather Is nice and hot. 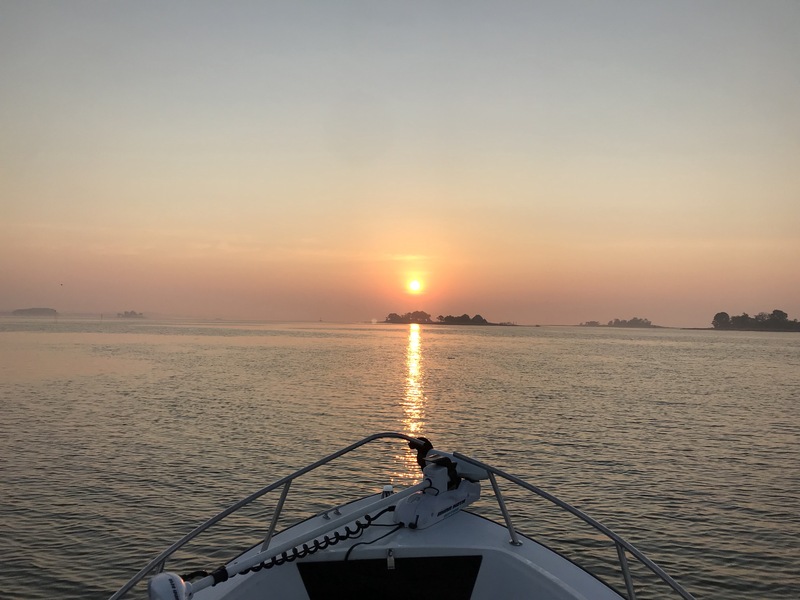 While it is really key to get out early or late in the summer, you will be able to fish successfully in the middle of the day this time of year. Now onto the bait side. A few weeks ago, the Norwalk River was packed with adult bunker from the east bank to the west bank, and now there are none to be found. There was some really good fishing then. The presence of this bait will really turn things on. 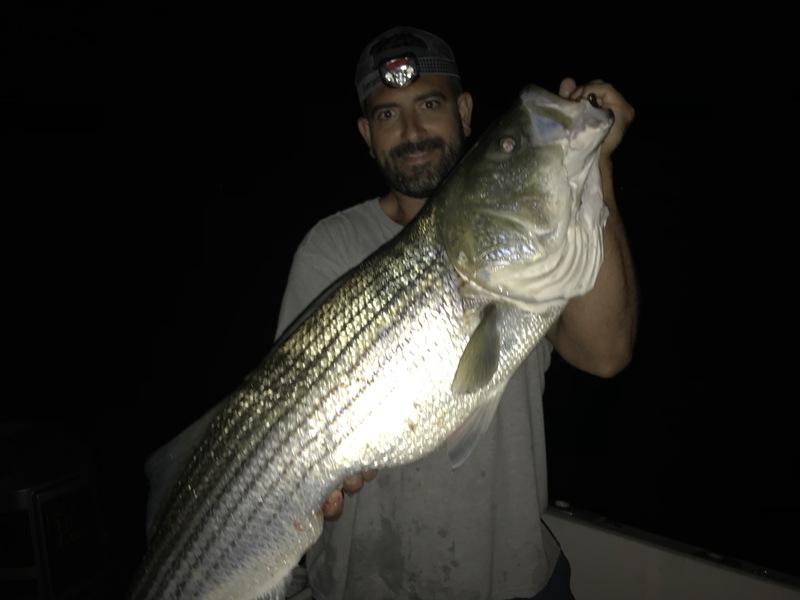 If you find big bait in your vicinity, not even in your specific spot, there are good chances you could land some big fish, and I would make the extra effort to get out there. This isn’t to say that you shouldn’t go out if you don’t see bait. If fact, a really good fisherman I know once told me you should fish in the spots that aren’t loaded with bait. Reason being-fish are a lot more aggressive when they don’t have many options. 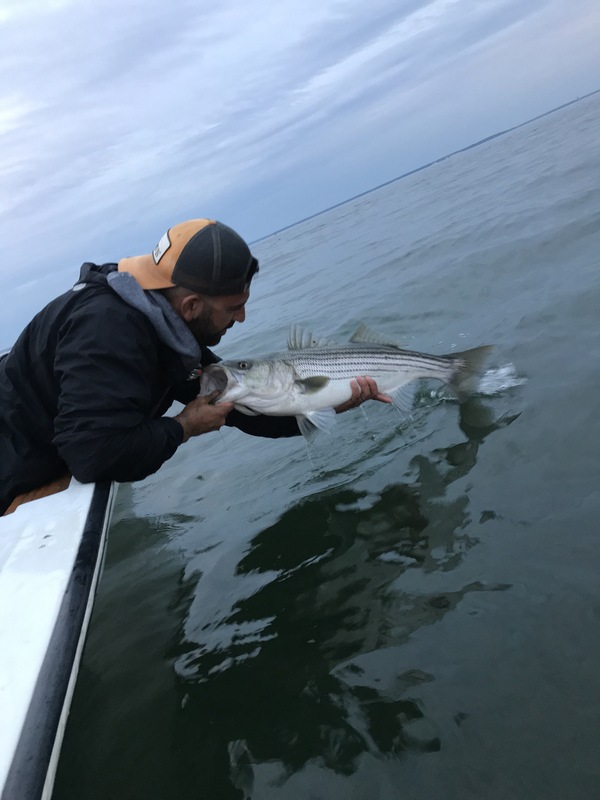 When the water is teeming with bait, it’s going to be hard to entice a bite. I hope everyone’s seasons are off to a great start. For any questions, or if you’d like to share a fishing report, email me at james.hollyday@gmail.com . 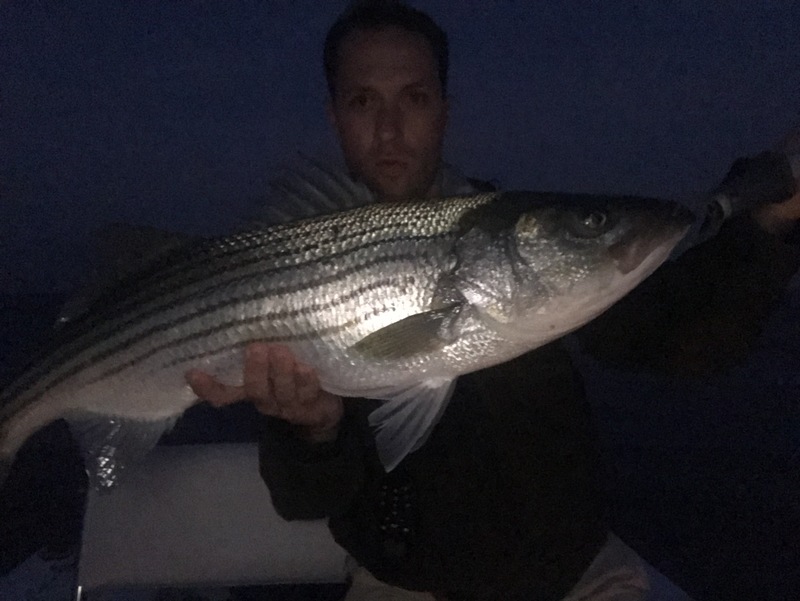 Well Folks, based on my logs from previous years, I think we are 2 months or less away from stripers in our local waters around the islands. Last year with the brutal winter my first fish came on April 25th; I think we’ll be closer to the middle/early part of the month this year. With the warm weather in the 50s (and rain) on Monday, it certainly reminded me of early springtime. 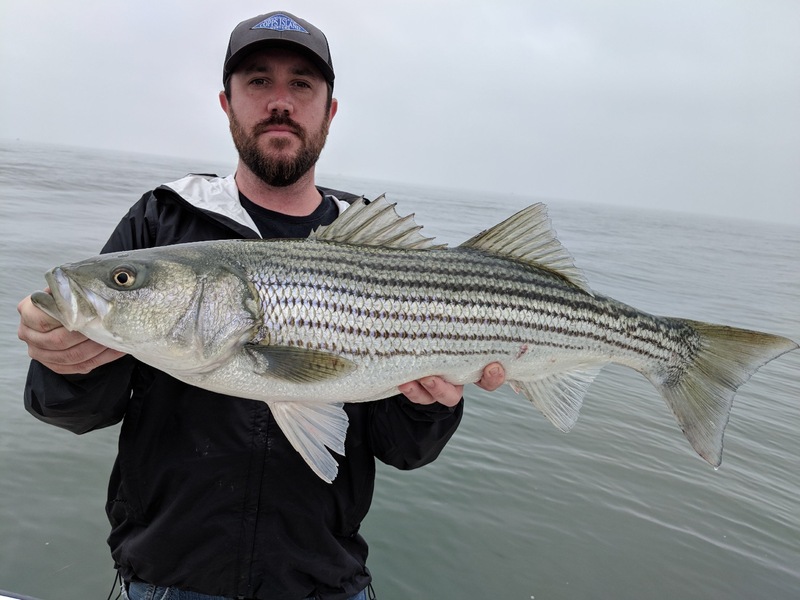 Early spring to me means shore fishing back bays, creeks, tidal inlets and the rivers for newly arrived migratory stripers. Warm afternoons and outgoing tides get the bass out of their winter hibernation-like habits, and into feed mode. 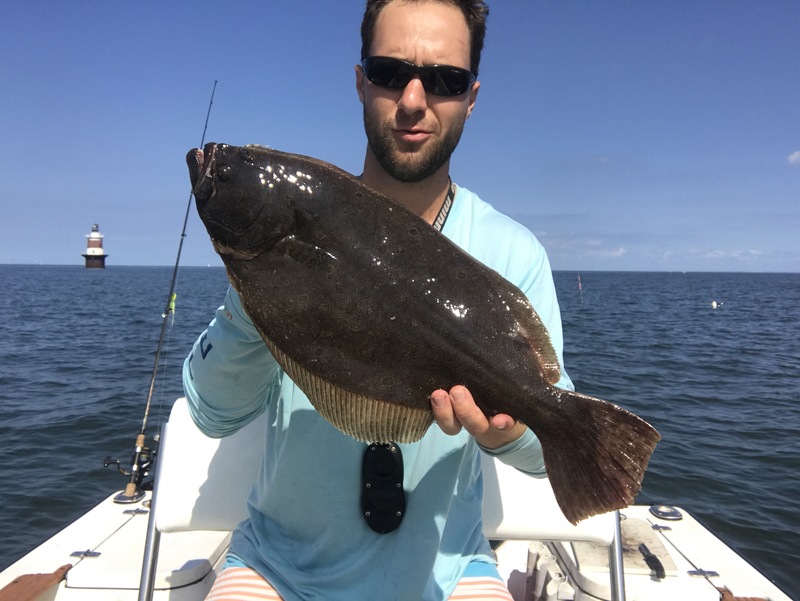 That combined with the little critters (grass shrimp, crabs, sandworms, silversides) and larger critters (herring) coming out of hiding in the aforementioned areas leads to some killer fishing. 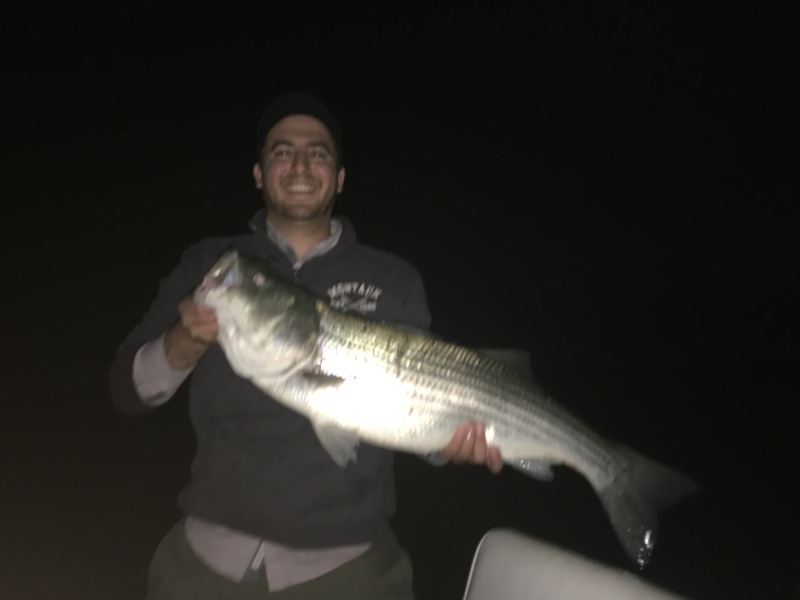 Fishing around the first full or new moon in April or May after dark always leads to my first sizeable fish of the year. Time to re-spool, stock up on your flies, plugs and plastics, and get ready for action folks.